Since Democratic Governor Roy Cooper took office in 2017, he’s faced veto-proof supermajorities in both legislative chambers. Democrats’ best chance to break that is with a pickup of four seats in the House this November, and two Western North Carolina races will prove pivotal in that effort. If the governor signs it, it becomes law. If not, it goes back to the General Assembly, which can override the governor’s veto with 72 votes in the House. Right now, Republicans have 75. But all 120 N.C. House seats are up for election this year, and while many of them won’t change parties, some of them will. If Democrats can win four more than Republicans, Gov. Cooper’s veto power will actually be worth something. “If Gov. Cooper does not get some help in Raleigh, he’s not going to be able to be effective,” said Myrna Campbell, former aide to Congressman Heath Schuler and chair of the Haywood County Democratic Party since 2015. 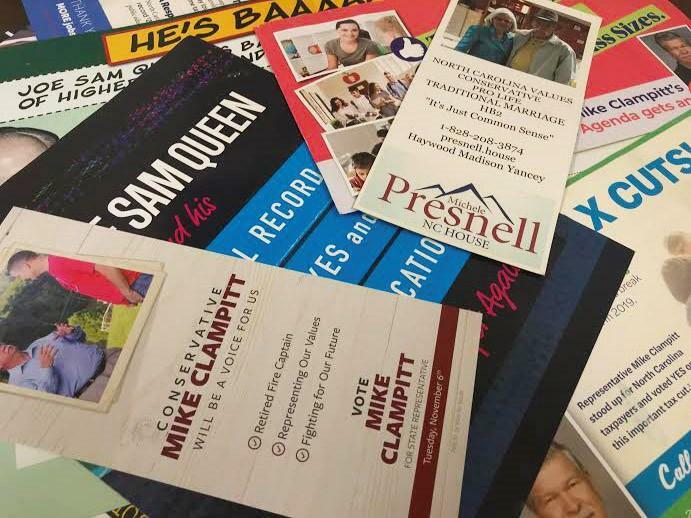 Haywood is split and has two representatives, both Republicans – Swain County’s Mike Clampitt and Yancey County’s Michele Presnell. That edge alone may not be enough to push Rhonda Schandevel over the top in the 118th District, but it could make or break Joe Sam Queen. “So what that means is, in a close race like the 119 in particular, you might give the edge a little bit to Joe Sam Queen over Mike Clampitt, given the national environment,” Cooper said. Early voting in North Carolina begins Wednesday, Oct. 17, in advance of the General Election on Tuesday, Nov. 6.